Martin Truex Jr. was the first driver on the track at Chicagoland Speedway for second practice and his quick lap speed of 180.650mph held up during the 50-minute session on Saturday. 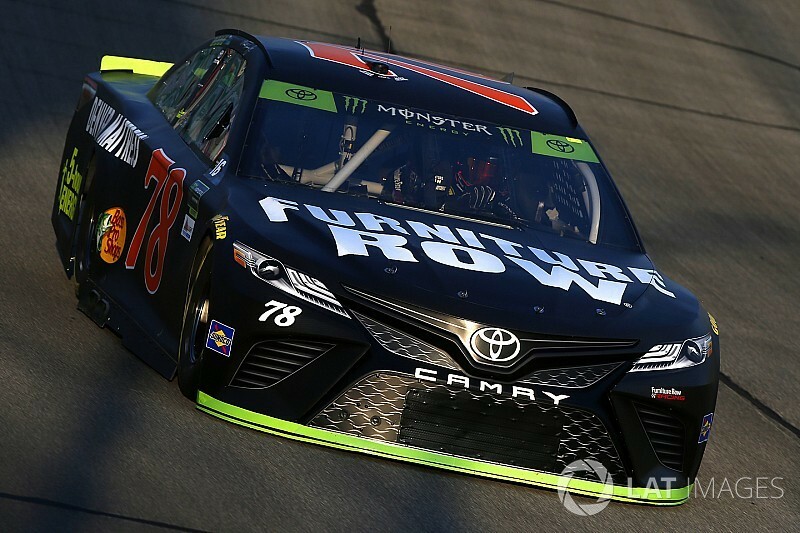 Truex, who is the defending winner of the Tales of the Turtles 400, rolls off third on Sunday. Chase Elliott led the Best 10 Consecutive Lap Average category with a speed of 176.416mph. In the opening minutes, Ryan Blaney (179.802mph) was second in single-lap speeds followed by Chase Elliott (179.689mph), Keselowski (179.659mph), Newman (179.414mph), Aric Almirola (179.235mph), Kahne (178.879mph), Kurt Busch (178.814), Kenseth (178.589mph) and Logano (178.306mph). The top nine speeds held up during second practice. 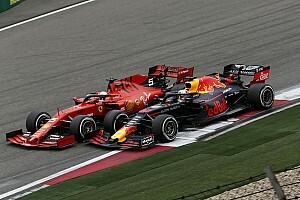 After the first five minutes, 31 drivers posted at least one lap and the top 10 speeds remained in tact. Erik Jones was 11th followed by Clint Bowyer, Kevin Harvick, Denny Hamlin, Jimmie Johnson, Daniel Suarez, Kyle Larson, Austin Dillon and AJ Allmendinger. Kyle Busch bumped Logano out of the top 10 with a lap of 178.312mph just before the 10-minute mark. “Coming to you, crashing,” Busch told his crew after nine laps. Fifteen minutes into practice, Kyle Busch was the only addition to the top 10 single-lap speeds. Almirola’s 23 laps were the most completed at that point. At the 30-minute mark, the top 10 remained the same with Logano holding onto 11th followed by Jones, Bowyer, Harvick, Larson, Hamlin, Johnson, McMurray, Suarez and Austin Dillon. Dillon’s 26 laps were the most completed. 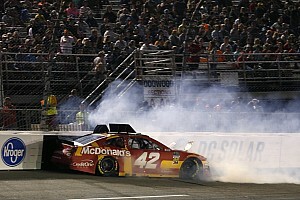 “It just kept building tighter,” McMurray said after 22 laps. With 10 minutes remaining, there were no changes to the top 20. Ricky Stenhouse Jr., the 16th driver in the playoffs, was 22nd (176.702mph) on the speed chart after 17 laps. Austin Dillon’s 36 laps were the most completed among 40 drivers. In the closing moments, Larson moved up to 14th on the sheet with a top speed of 178.106mph. 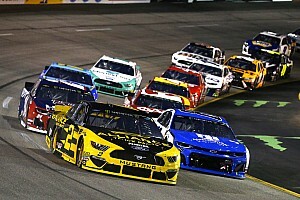 Keselowski was second quick in Best 10 Consecutive Lap Averages with a speed of 176.303mph followed by Kenseth, Newman, McMurray, Kyle Busch, Austin Dillon, Harvick, Menard and Almirola.